International news on the work of Chilean musicians abroad! A selection of the past month. Check out this year's first article of enfoque. Check out this year's first publication of Intérpretes Chilenos en el Extranjero (Chilean Performers Abroad). 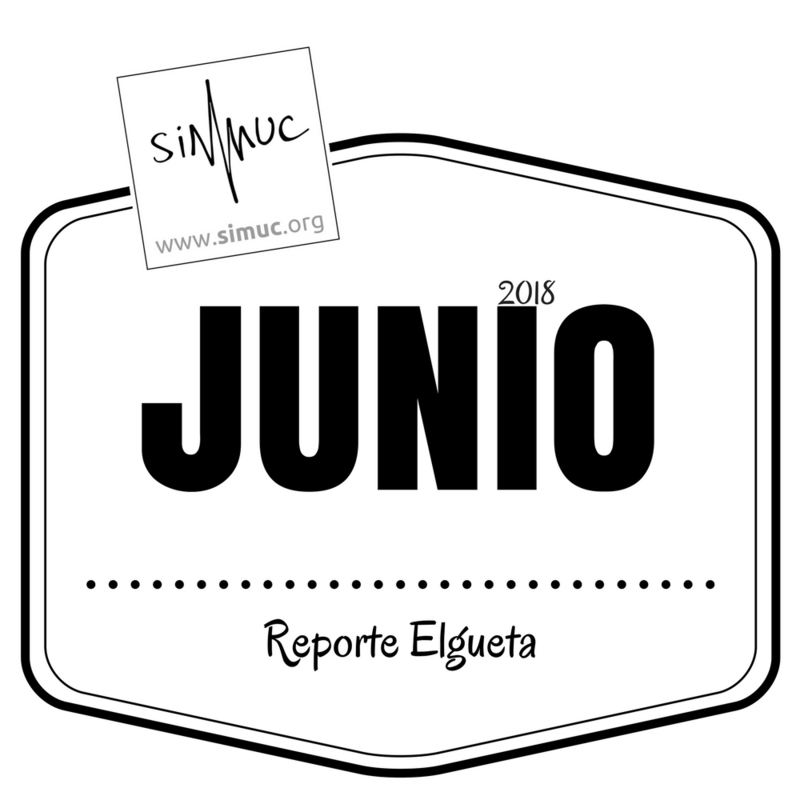 "Un colega me dio un sabio consejo: Ve la audición como una oportunidad para compartir música"
We invite Chilean musicologists, music scholars and researchers to publish in the 2019 edition of our column enfoque (spanish). 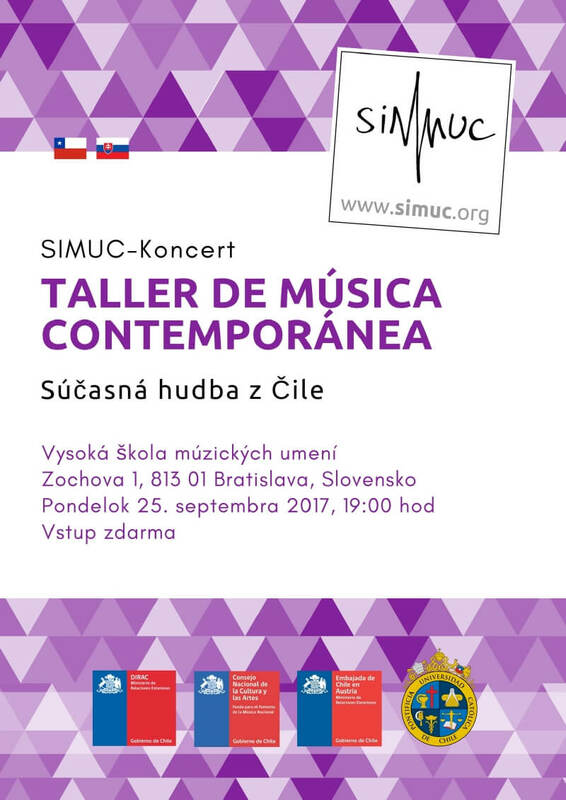 The International Society for Chilean Music (SIMUC) in collaboration with nadaproductions, presents "Proyecto No-Musical III" in Austria. 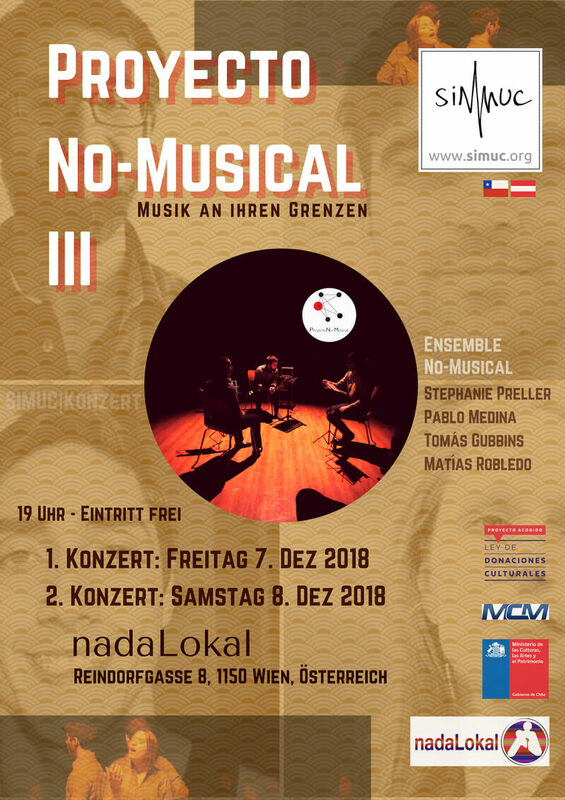 As part of their Europe Tour 2018, the No-Musical ensemble will give two SIMUC-concerts at nadaLokal in Vienna. The No-Musical project III seeks to reflect on the limits of music and the scenic possibilities that exist in its language. Through musical and extra-musical resources, it shows on stage that sound is just one more element within a complex chain of things that involves: personal experiences, emotional processes, hours of rehearsal, years of study, the understanding of a specific language both spoken and written, as well as social and historical contexts. Proyecto No-Musical III puts music's syntax into tension and proposes a different approach to perception through composition, decomposition and re-composition of the musical material. The concerts will take place on December 7 & 8, 2018 at 7pm at nadaLokal, Reindorfgasse 8, 1150 Vienna, Austria. Admission is free. Let us meet there! Check out this year's last article of enfoque. Check out this year's fifth publication of Intérpretes Chilenos en el Extranjero (Chilean Performers Abroad). "Con el paso del tiempo he comprendido cuán importante es interpretar una obra chilena en suelo extranjero"
The SIMUC is proud to present the Dúo Pulmari in Tyrol, Austria. The musicians will perform and premiere pieces by Chilean composers, most of which were commissioned by them as well. We are specially glad to have on the program a piece of one of the first Chilean female composers, Carmela Mackenna. One piece was also added by the Call for Scores that the SIMUC did early this year. The concert includes compositions by Rafael Díaz (1962), Gustavo Becerra-Schmidt (1925-2010), Mario Oyanadel (1990), Carmela Mackenna (1879-1962), Valentina Cárcamo (1991) and Ignacio Escobar (1994). 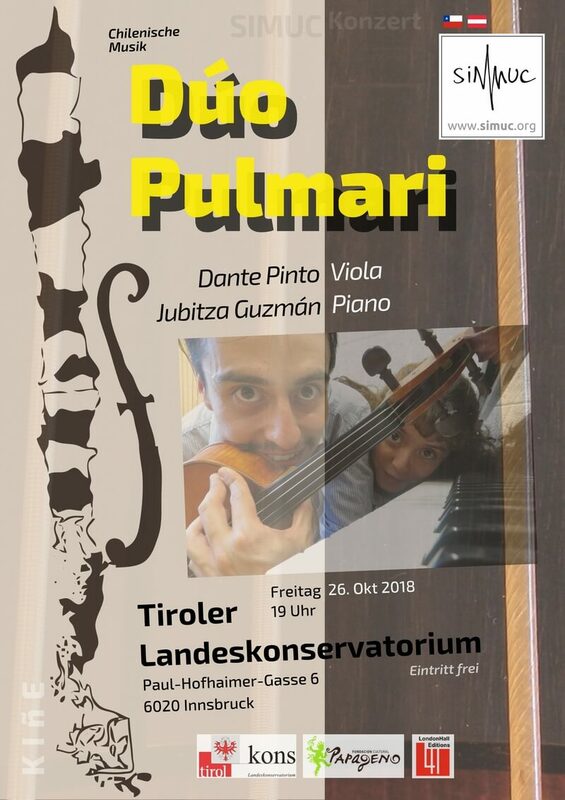 The concert will take place on October 26, 2018 at 7pm at the Tiroler Landeskonservatorium, Paul-Hofhaimer-Gasse 6, 6020 Innsbruck, Austria. There will be some drinks after the concert and the admission is free. Let us meet there! 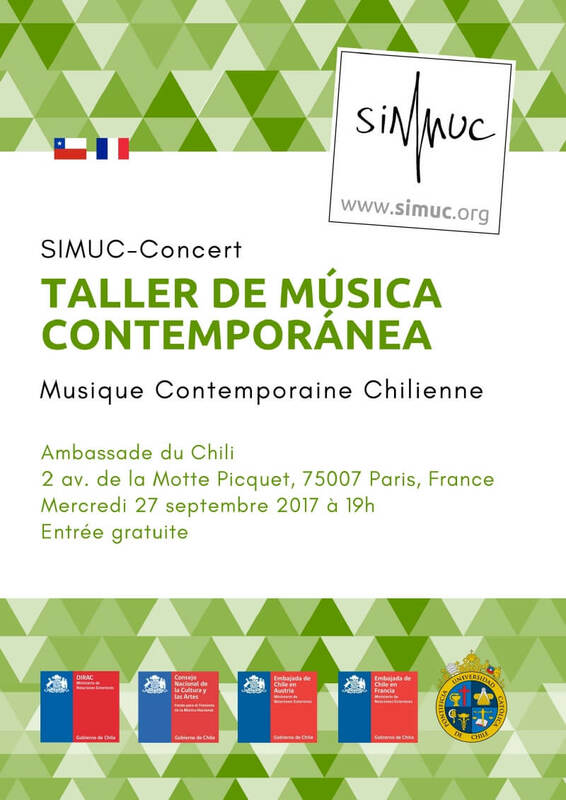 The SIMUC presents "The Diversity of Chilean Art Song". 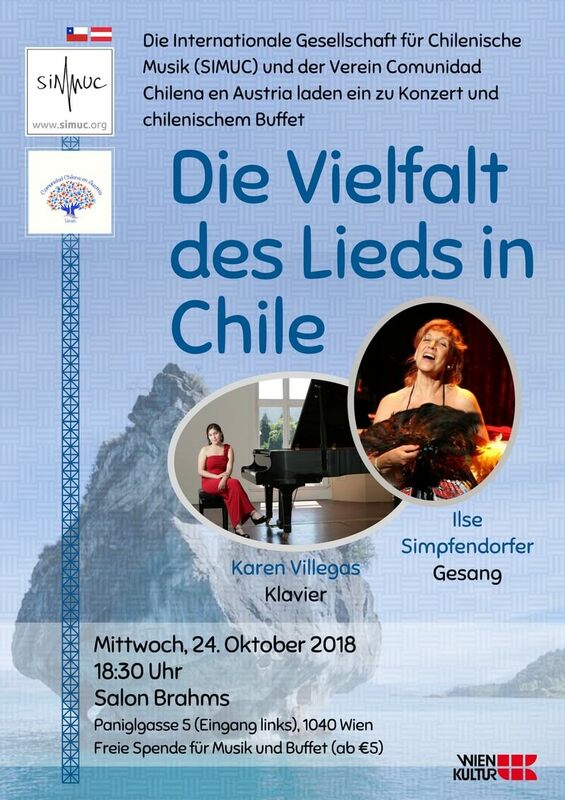 Chilean singer Ilse Simpfendorfer and pianist Karen Villegas will performed in Vienna and Breitenfurt a repertoire of Chilean art song by composers born between 1903 and 1980: Alfonso Letelier (1912-1994), Carlos Botto (1923-2004), Estela Cabezas (1921), Federico Heinlein (1912-1999), Javier Party (1980), Jorge Urrutia (1903-1981), Juan Orrego-Salas (1919), Pablo Délano (1950), Ximena Cabello (1943) and Emiliano Nahuelpán. 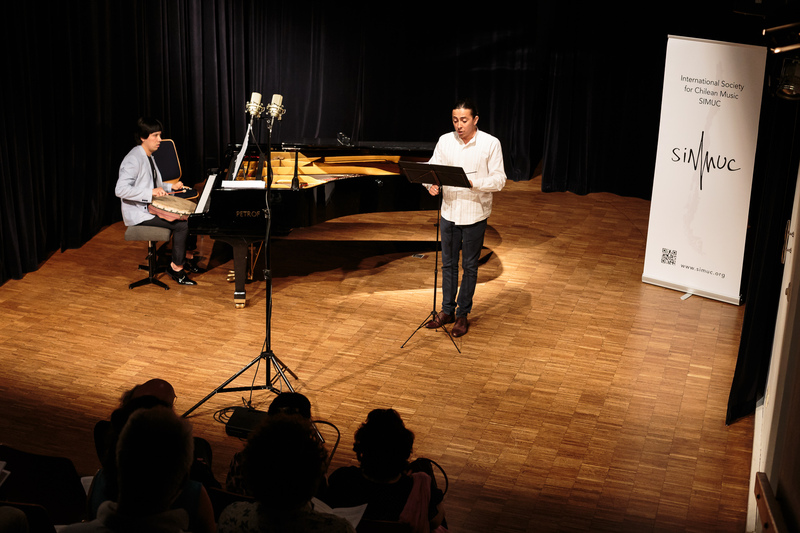 The first concert in Vienna has been organized in collaboration with the Comunidad Chilena en Austria, who will offer a special Chilean buffet after the concert. It will take place on October 24, 2018 at 6:30pm at the Salon Brahms in Paniglgasse 5 (Eingang links), 1040 Vienna, Austria. Admission free! Contributions from €5 for music and food are welcome. 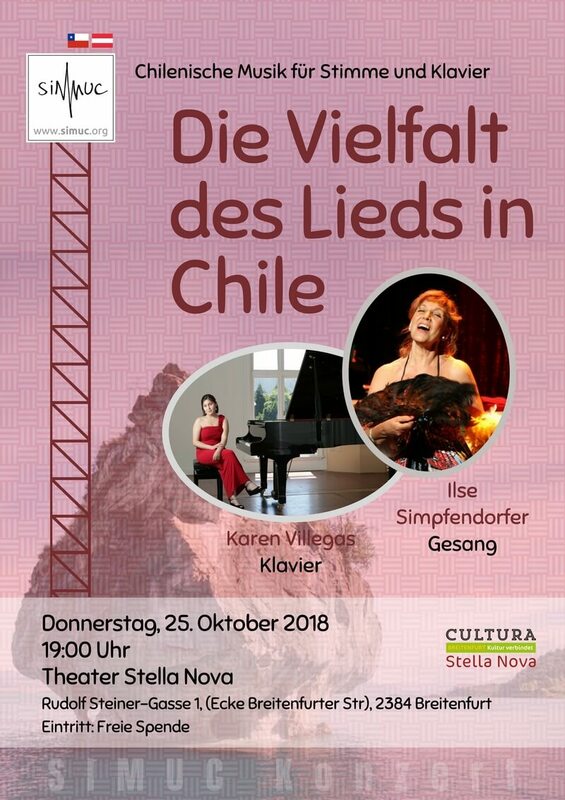 The second concert will take place on October 25, 2018 at 7pm at the Theater Stella Nova, Rudolf Steiner-Gasse 1, 2384 Breitenfurt, Austria. Admission free! The SIMUC will take part on the 44. Festival Neue Musik Lüneburg in Lüneburg, Germany. 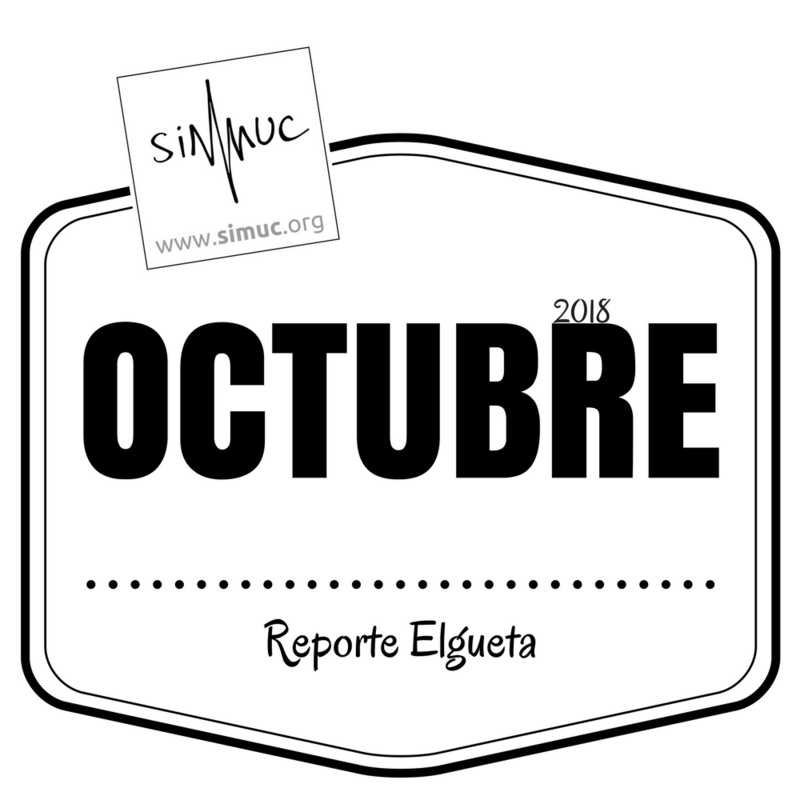 We are very happy to tell, that this is the second consecutive year that the SIMUC is part of this Festival. 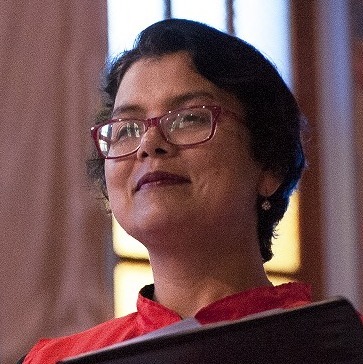 The concert program includes pieces for 2, 4 and 8 channels by eight Chilean composers: Ana María Estrada (1980), Vicente Olave (1993), Ignacio Salvo (1995), Guillermo Eisner (1980), Valeria Valle (1979), Renata Carrasco (1986), Georgina Canifrú (1978) and Juan Amenábar (1922-1999). Check out the fifth article of enfoque. ¿Compositoras? Notas sobre la invisibilización Las mujeres no queremos que los hombres se encarguen de crear espacios especiales para nosotras. 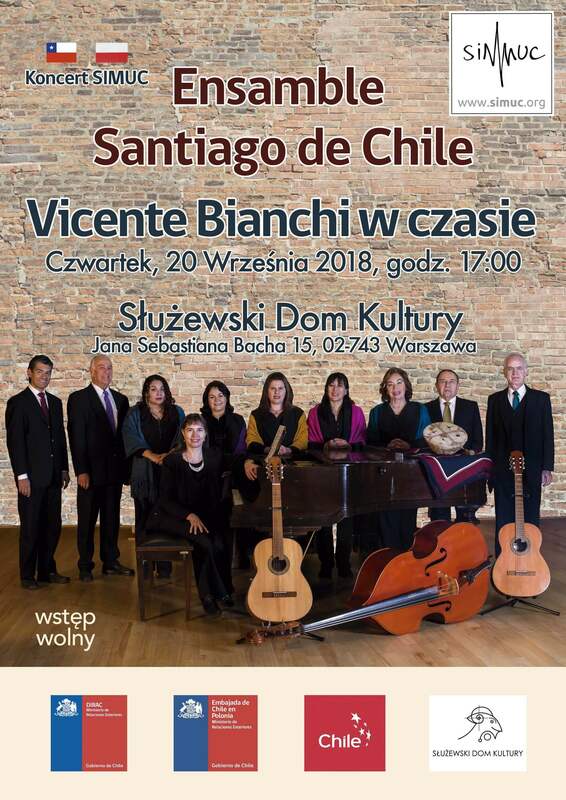 The SIMUC is proud to present the Ensamble Santiago de Chile in Warsaw, Poland. The musicians will perform music by Chilean composer and 2016 National Prize for Musical Arts winner Vicente Bianchi. The concert, wich is part of their Europe tour 2018, will take place in the Służewski Dom Kultury in the Polish capital. Let us meet there! The concert program: "Vicente Bianchi In Time"
Music by Vicente Bianchi based on texts by Alonso de Ercilla y Zúñiga, Violeta Parra and Pablo Neruda, among others. Chile Fértil, Hueda Kona, Huincahonal, Sau Sau, Un país llamado Chile, Viene Cabalgando el huaso, Gracias a la vida, Casamiento de negros, Tonada Rítmica, Variaciones en aire de cueca, Danzas de la Tirana, Misa a la chilena: Kyrie - Gloria - Agnus Dei, Tonadas de Manuel Rodríguez, Romance de Los Carrera, Canto a Bernardo O’Higgins, A la bandera, Salitre, La noche de Chillán and La Nerudiana. Check out this year's fourth publication of Intérpretes Chilenos en el Extranjero (Chilean Performers Abroad). "Para mí ha sido hasta ahora la experiencia más enriquecedora de mi vida"
Check out the fourth article of enfoque. Check out this year's third publication of Intérpretes Chilenos en el Extranjero (Chilean Performers Abroad). 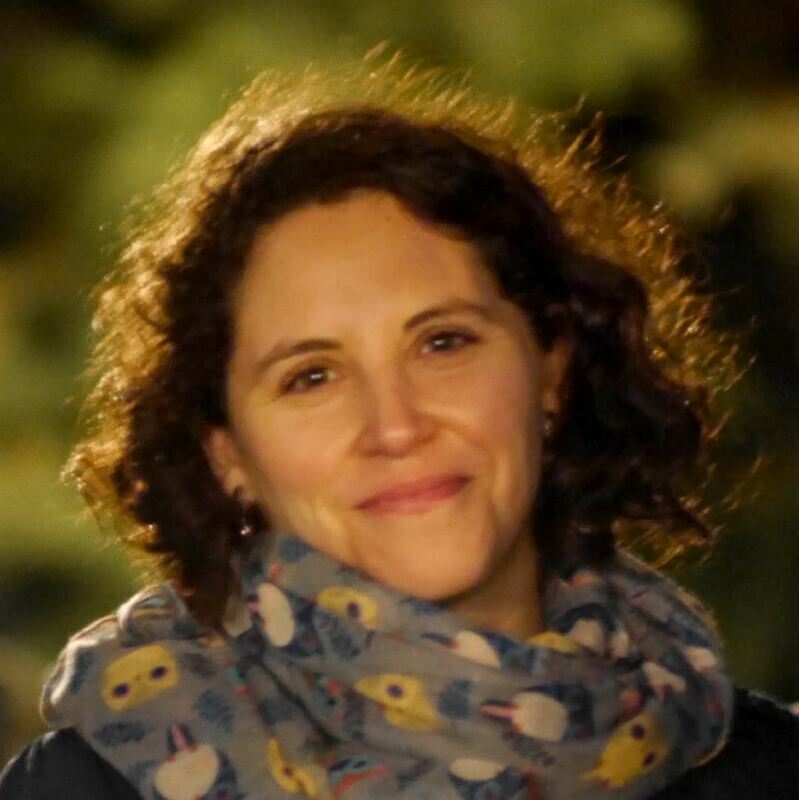 "Mi intención principal de venirme a estudiar a Alemania fue tener más herramientas para poder disfrutar de lo que hago"
The SIMUC is proud to present the Dúo Saglie Urquieta in Austria. 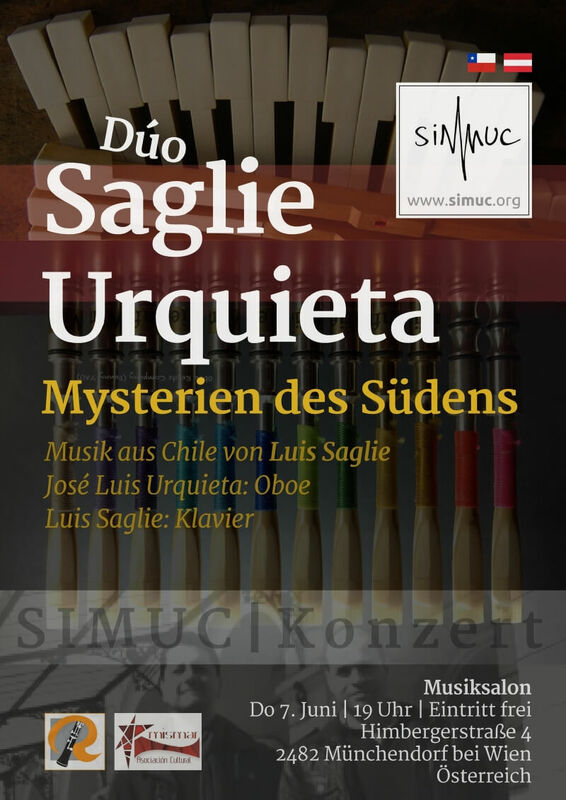 The oboe and piano duo will perform music by Chilean composer Luis Saglie. The concert, wich is part of their Europe tour 2018, will take place in the cosy Musiksalon in Münchendorf, 30 minutes south of Vienna. Let us meet there! The concert program: "Southern Mysteries"
The International Society for Chilean Music (SIMUC) invites Chilean composers (and international artists living in Chile as well) to send us a piece to be performed by the duo Pinto Guzmán as part of the SIMUC-Concert that they will give at the Tiroler Landeskonservatorium in Innsbruck, Austria. Follow the link below to find all the details. You can always find a list of all our calls here. Check out the third article of enfoque. Check out this year's second publication of Intérpretes Chilenos en el Extranjero (Chilean Performers Abroad). 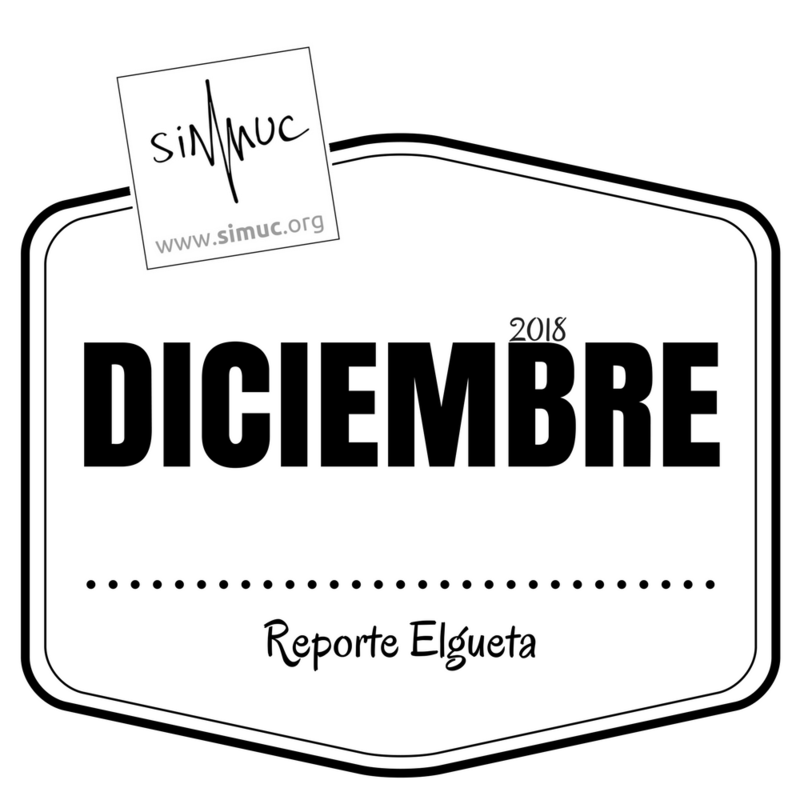 "Sentí que para seguir aprendiendo necesitaba conocer otras propuestas, distintas a las que estaba ya habituada"
The SIMUC will take part on the 40. Internationale Studienwoche für zeitgenössische Musik 2018 in Lüneburg Germany. 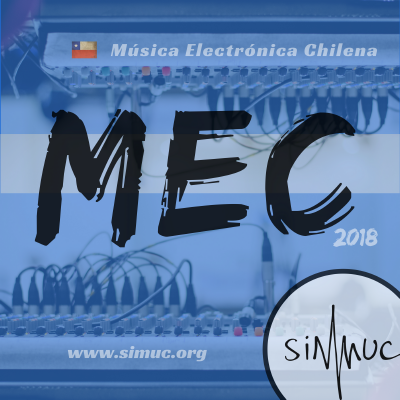 We will present a concert with a selection of pieces programmed in the first and second seasons of MEC, our podcast on Chilean Electronic Music. 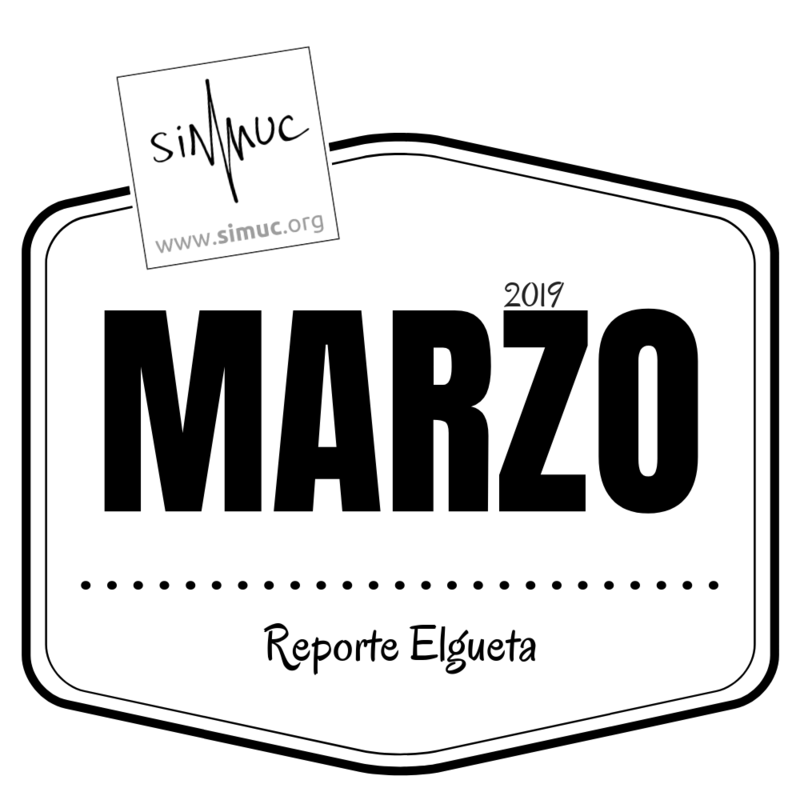 The International Society for Chilean Music (SIMUC) invites Chilean composers and sound artists (and international artists living in Chile as well) to propose a piece to be programmed on the third season of MEC, our podcast on Chilean electronic (art)music. Follow the link below to find all the details. You can always find a list of all our calls here. 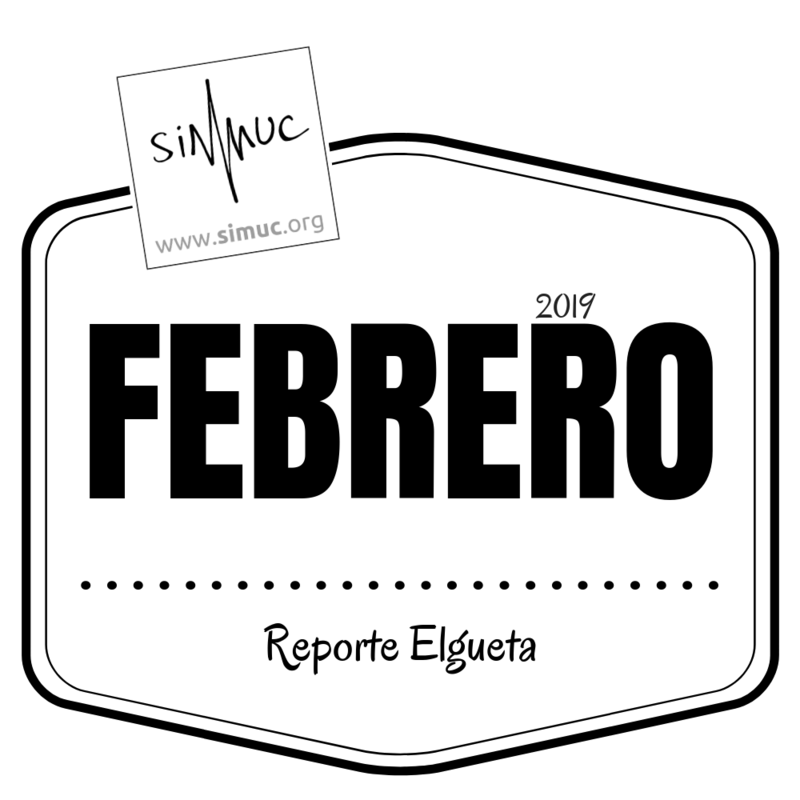 The International Society for Chilean Music (SIMUC) invites musicians, musicologists, music lovers, experts and enthusiasts to participate as a podcast presenter in the third season of MEC, our podcast on Chilean electronic (art)music. Follow the link below to find all the details. Check out the second article of enfoque. 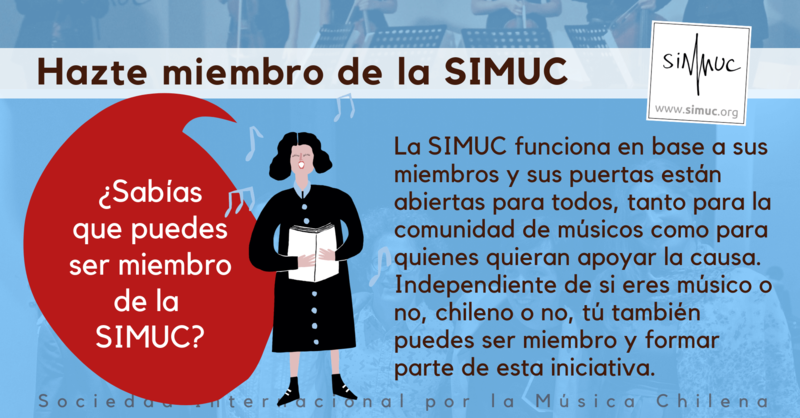 Chilean musicians give us their opinion about the International Society for Chilean Music (SIMUC), its creation and what we have been doing. Take a look at February's news report on the work of Chilean musicians abroad! This is a new column (Spanish) by Felipe Elgueta which will give us a selection of each month's international news on Chilean musicians. Violeta Parra vuelve a Europa. Gira "Gracias a la Vida"
"Violeta fue al parecer más reconocida y valorada en Europa y otros países de américa del sur que en nuestro propio país"
SIMUC's Catalog Of Chilean Compositions Is Online! 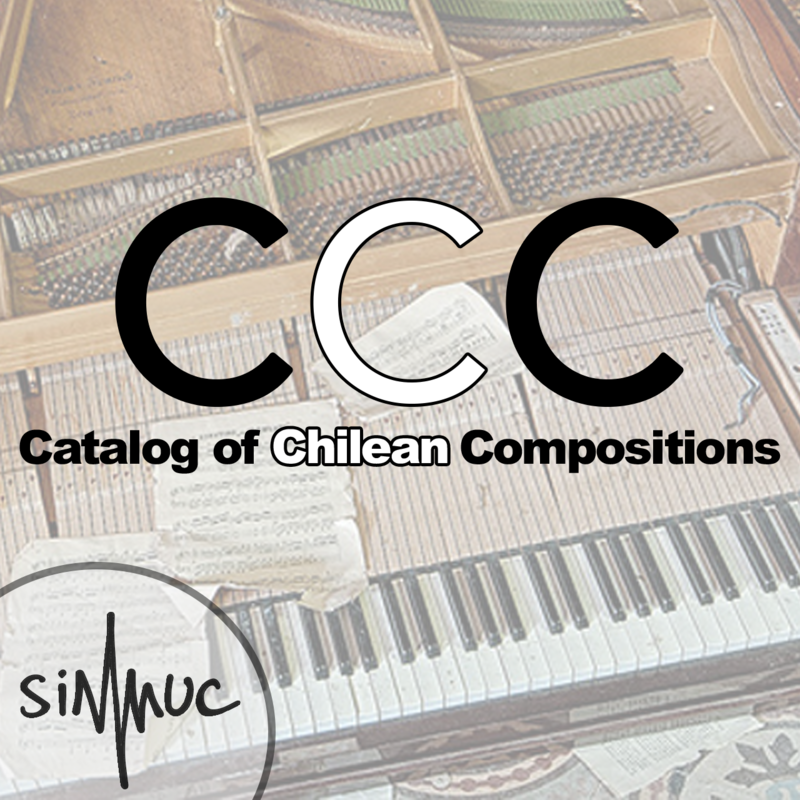 In this beta version of our catalog of Chilean compositions you will find more than 700 pieces by Chilean composers of different generations. If you are a performer or a concert organizer looking for Chilean repertoire you will be happy to know that you can search our catalog by instrument. It is also possible to search by the piece's title, composer, year of creation or premiere. For each piece you will find further information. This is the third and largest section of our database, in which we are working on regularly. At this moment the catalog is only available in Spanish and has some minor issues we are aware of and plan to address in the near future. Still, it is a great tool for musicians and musicologists, it is free and internationally accessible on our website. We would be very happy to receive your feedback! This first stage of the catalog was possible thanks to the support of the Chilean National Council of Culture and the Arts. Check out the first article of enfoque. Check out this year's last article of the series Intérpretes Chilenos en el Extranjero (Chilean Performers Abroad). "Músicas diversas y fuera del marco de lo “clásico” tienen su lugar dentro de la academia"
We asked Chilean musicians about the Chilean music scene, what has been done well and what could be improved? This film was produced and premiered in the context of our International Musicology Conference, which we held in Vienna, Austria on November 24 and 25, 2017. We asked Chilean musicians how should we call this "erudite", "classical", "academic", "art music", "music of written tradition"? This film was produced and premiered in the context of our International Musicology Conference, which we held in Vienna, Austria on November 24 and 25, 2017. We asked Chilean musicians when could a piece of music be considered to be Chilean? This film was produced and premiered in the context of our International Musicology Conference, which we held in Vienna, Austria on November 24 and 25, 2017. We talked to Chilean musicians in Santiago. We asked them what does it mean to be a composer in Chile? This film was produced and premiered in the context of our International Musicology Conference, which we held in Vienna, Austria on November 24 and 25, 2017. 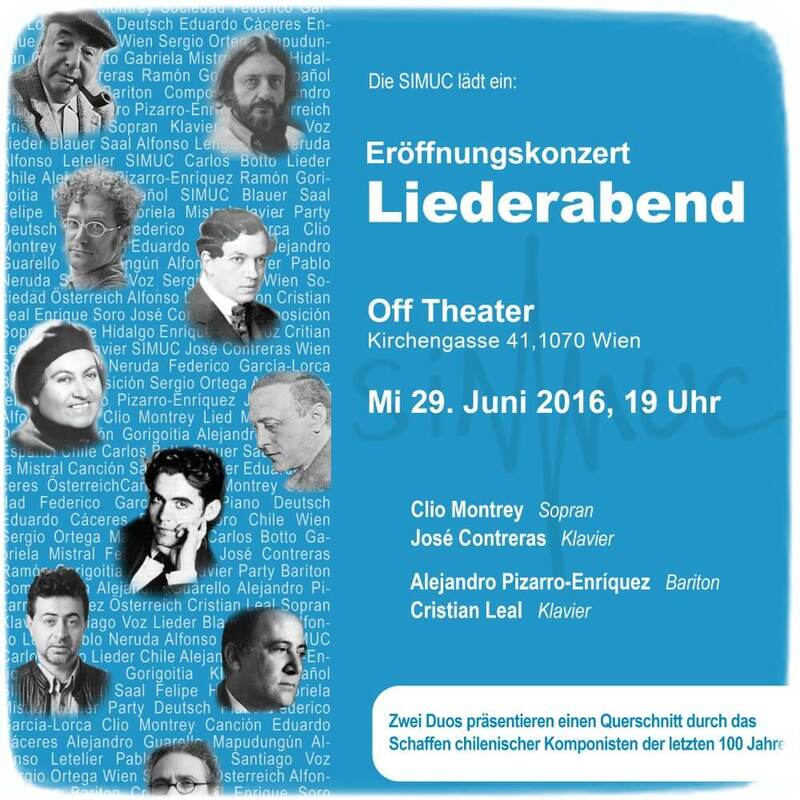 Join us in Vienna or via live streaming on our YouTube channel at SIMUC's first International Musicology Conference. Music composition in Chile was during most of the 20th century an academic practice. 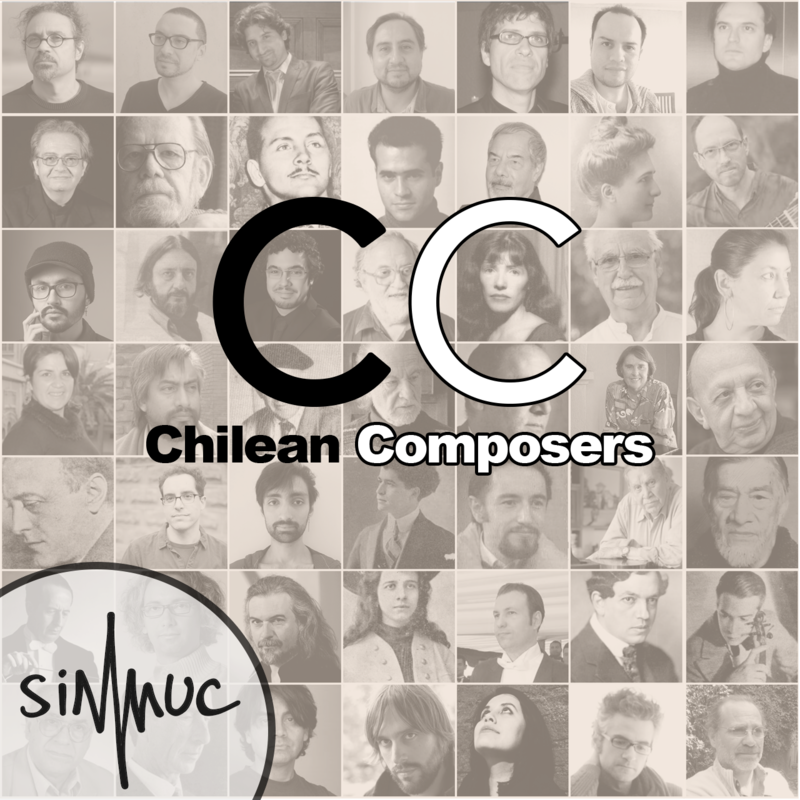 Most Chilean composers officially considered as such were and have been university professors, and it is common in Chile to define contemporary classical music simply as “academic music”. However, since the return to democracy three decades ago, new scenes and movements have reshaped this panorama: music composition is taught in more places, state funding has supported music composition beyond academia, and new generations have been trying to escape old practices in different ways. 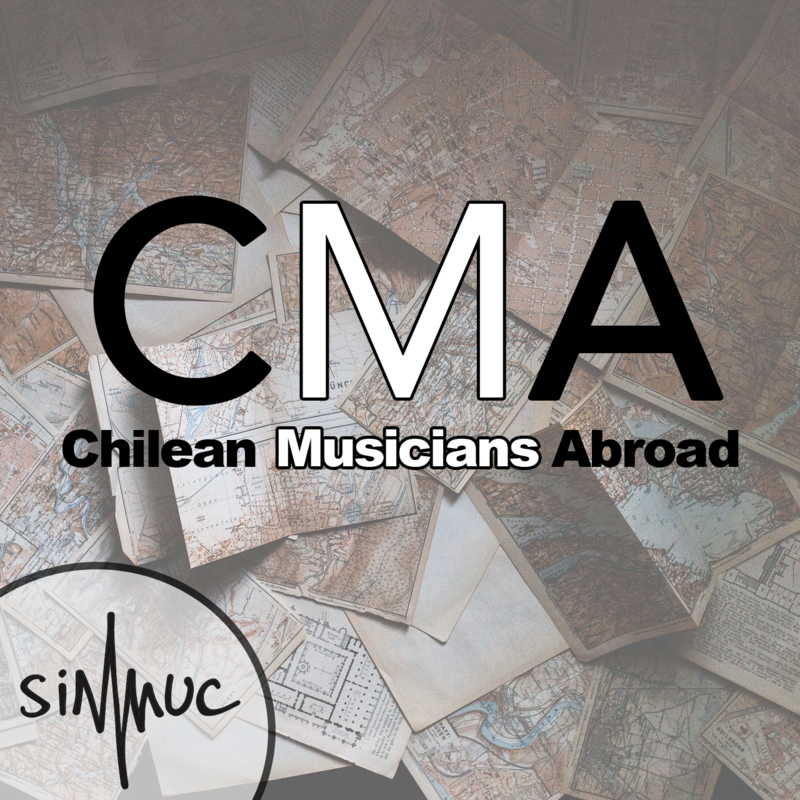 An important number of Chilean composers have also studied or work abroad, mainly in Europe. In the year 2016, the election of Vicente Bianchi as the first non-academic composer recipient of the National Prize for Music, created an important crisis about who is or can be a composer, and how music composition has been defined in the last century. 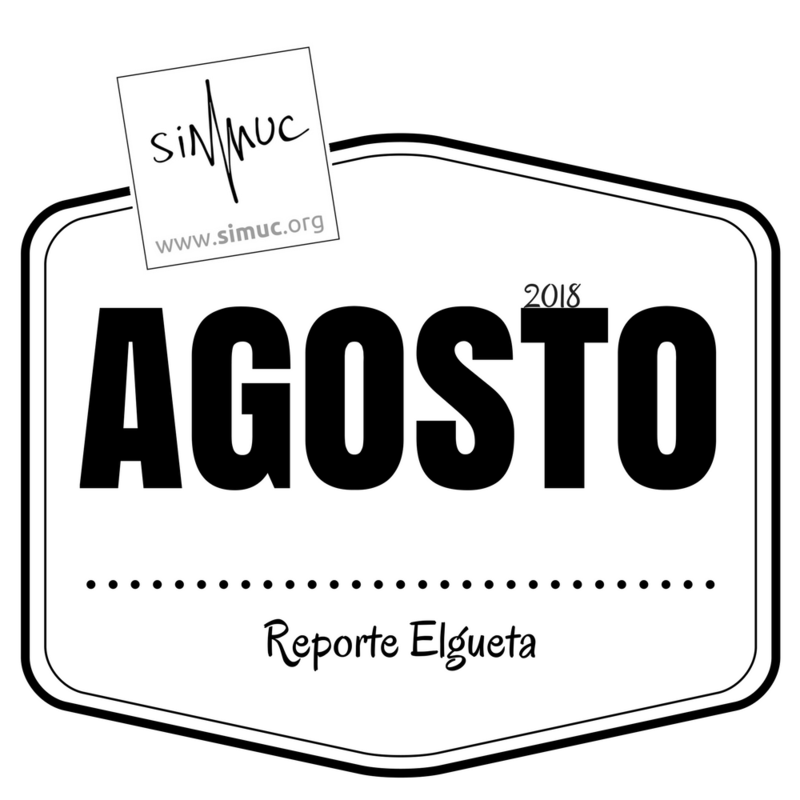 This first SIMUC musicology conference takes this “crisis” of local music composition, and the idea and practice of the composer in Chile and of Chilean music, to discuss the discipline, creators, relations with audiences and the space institutions occupy today in the world of music creation. 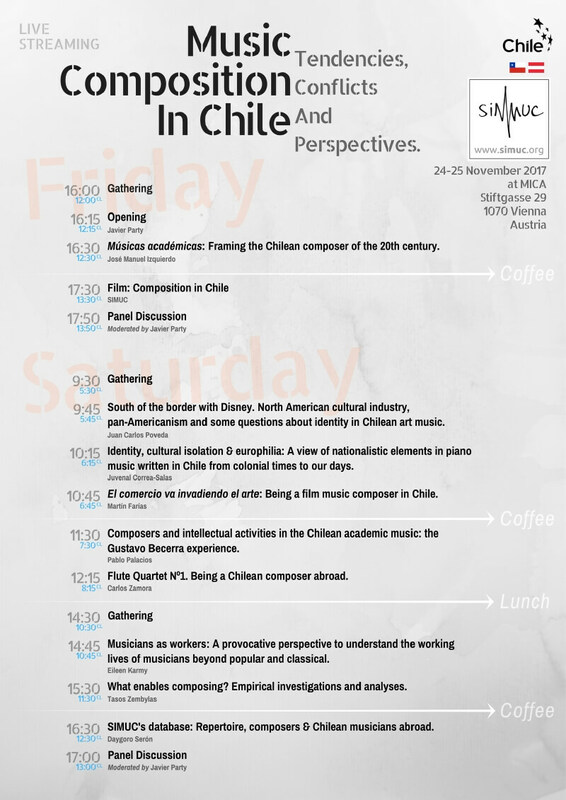 Some of the questions we want to explore in the conference are: Who has written music in Chile, and why? How has music composition been defined in Chile, and by whom? Who is considered a composer in Chile? What could be considered Chilean in the written music tradition of Chile, and what would be a Chilean music composition? Is there an identity of Chilean music composition? How have these problems changed in time? We have invited three Chilean musicologists: José Manuel Izquierdo (Chile), Pablo Palacios (Chile/Spain) and Eileen Karmy (Chile/UK), Chilean composer Carlos Zamora (Chile/UK) and Austrian cultural scientist, Tasos Zembylas (Cyprus/Austria). 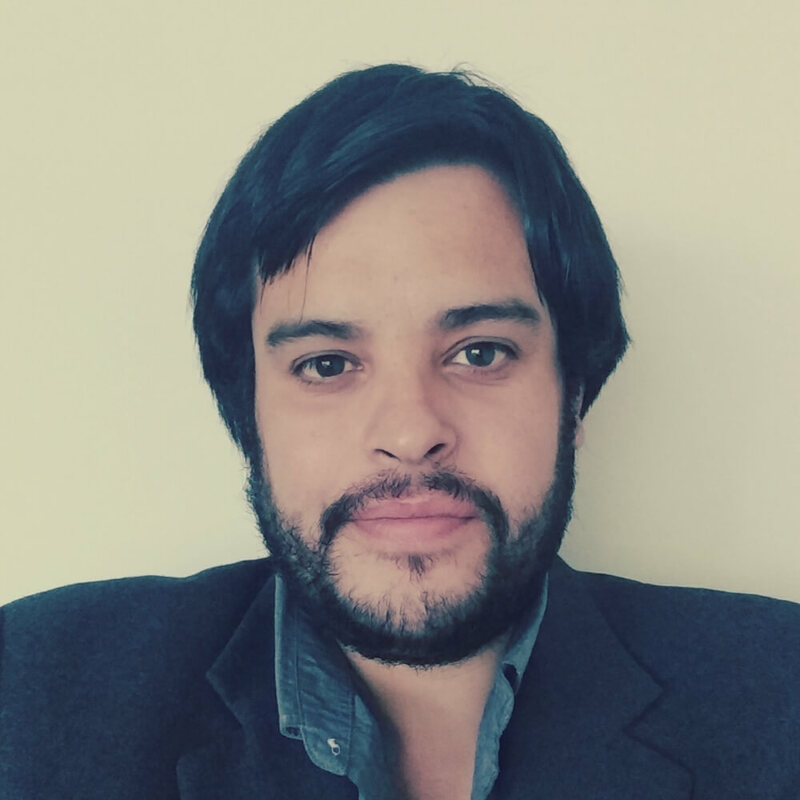 Other three Chilean scholars were selected through our call to present at the conference: Juan Carlos Poveda (Chile), Juvenal Correa-Salas (Chile/USA) and Martín Farías (Chile/UK). 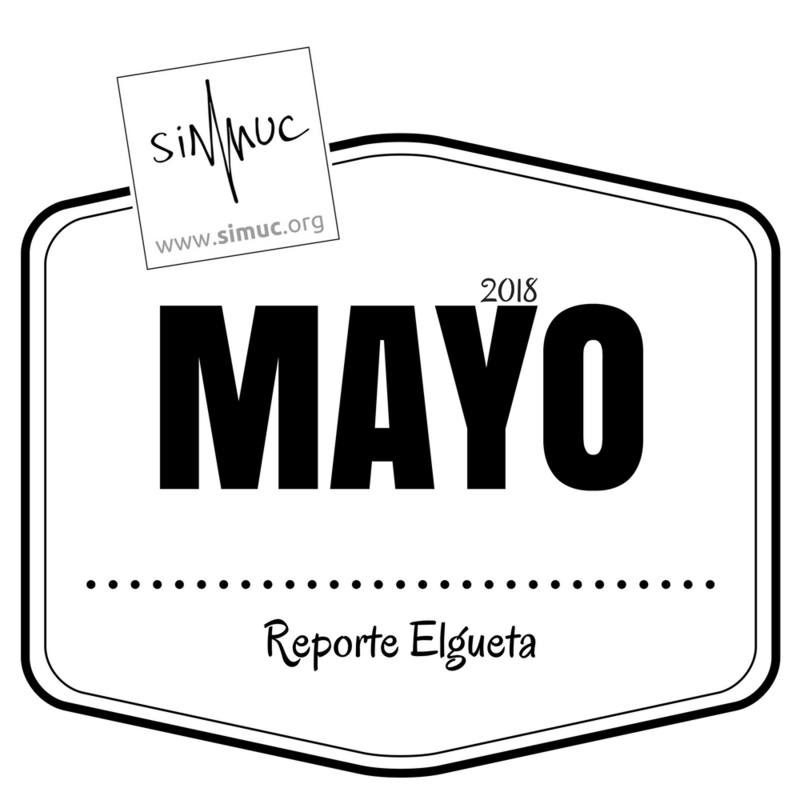 A piece by Carlos Zamora, the premiere of a SIMUC-Film about the Chilean music scene and a presentation of SIMUC's database will round the conference. This conference is possible thanks to ChileGlobal and their financial support. Check out the fifth article of the series Intérpretes Chilenos en el Extranjero (Chilean Performers Abroad). "El glamour de un par de horas de música clásica tiene bastidores oscuros, llenos de esfuerzo y sacrificio"
UPDATE We have opened a concert section where you can find more information about the concert. The SIMUC will take part on the 43. Festival für Neue Musik Lüneburg 2017 in Lüneburg Germany. We will present six acousmatic pieces by Chilean composers: Alejandro Albornoz (1971/UK), José Vicente Asuar (1933-2017), Nicolás Carrasco (1980/Chile), Bárbara González (1975/Chile) and Javier Party (1980/Austria). Four SIMUC-Concerts in four European capitals: Vienna (Austria), Bratislava (Slovakia), Paris (France) and Rome (Italy). 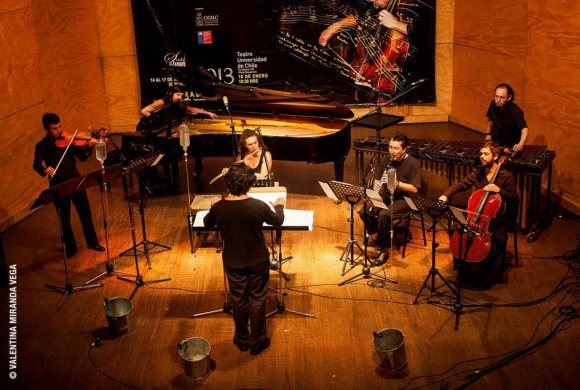 The prestigious Chilean ensemble Taller de Música Contemporánea, conducted by composer Pablo Aranda, will perform a selected repertoire of Chilean compositions. The concerts will include pieces by Gustavo Becerra-Schmidt (1925-2010), Pablo Aranda (1960), Jorge Pepi-Alos (1962), Antonio Carvallo (1972) and Andrés Núñez (1981), as well as the three composers selected through our SIMUC-Call for Scores: Rodrigo Cádiz (1972), José Miguel Arellano (1985) and Maximiliano Soto (1991). The ensemble is formed by musicians with great instrumental versatility. Since 2000 they have promoted musical creation and premiered works of established composers and young creators in different countries. It is the official ensemble of the "International Composers Meeting" biennale in Chile. 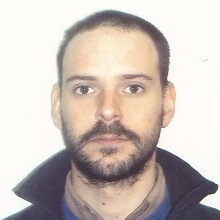 Its conductor and artistic director is the composer and academic Pablo Aranda. This Europe-Tour, organized by the SIMUC in collaboration with the Chilean Embassy in Austria, is possible thanks to the support of the DIRAC of the Chilean Ministry of Foreign Affairs, the National Council of Culture and the Arts, the VRI of the Pontifical Catholic University of Chile, the Cultural Section of the City of Vienna, the Chilean Embassies in Austria, France and Italy and the Argentinian Embassy in Italy. Check out the fourth article of the series Intérpretes Chilenos en el Extranjero (Chilean Performers Abroad). "Un profesor te dice que algo está mal, otro te dice lo contrario. 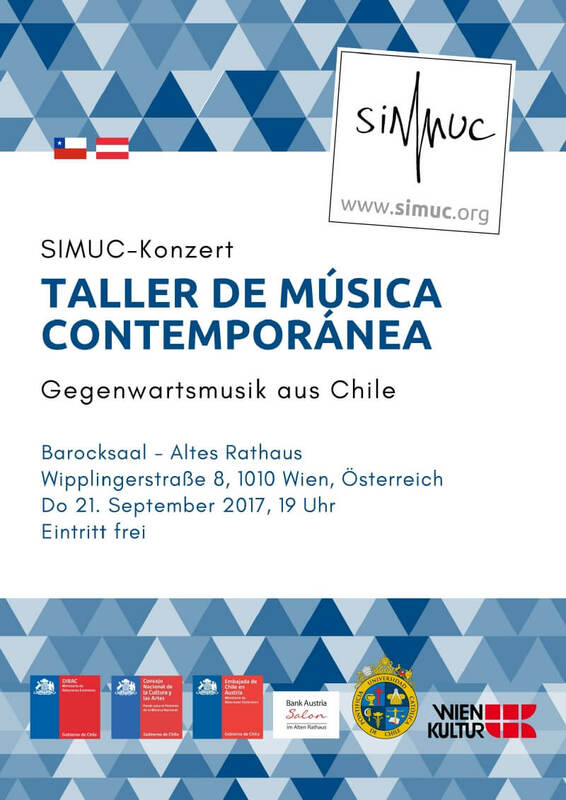 No has sido capaz de convencerlos con tu interpretación"
The International Society for Chilean Music (SIMUC) invites musicologists, researchers and musicians to present in its first International Musicology Conference, which will take place on November 24 and 25, 2017, in Vienna, Austria. 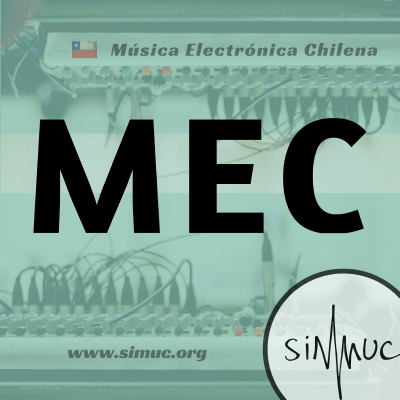 The second season of MEC, our podcast on Chilean Electronic Music, is online! In this season MEC will address electroacoustic music in its relation to literature, politics, ethnic sounds and performance. We will talk about the origin of an electroacoustic piece and how sounds turn into a composition. 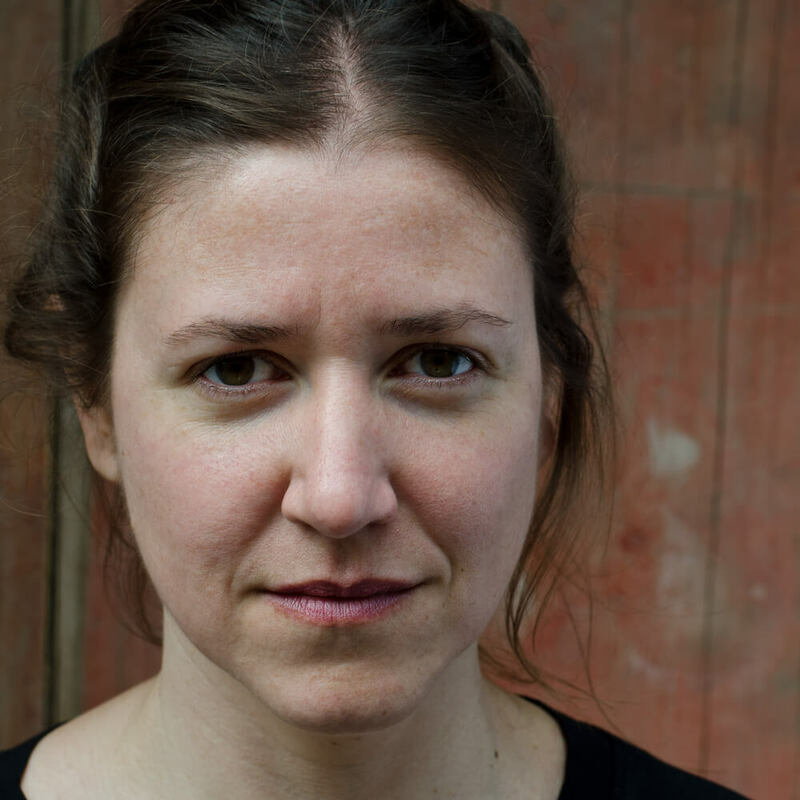 In the first of ten episodes, Javiera Besoaín pays tribute to Chilean composer José Vicente Asuar (1933-2017). 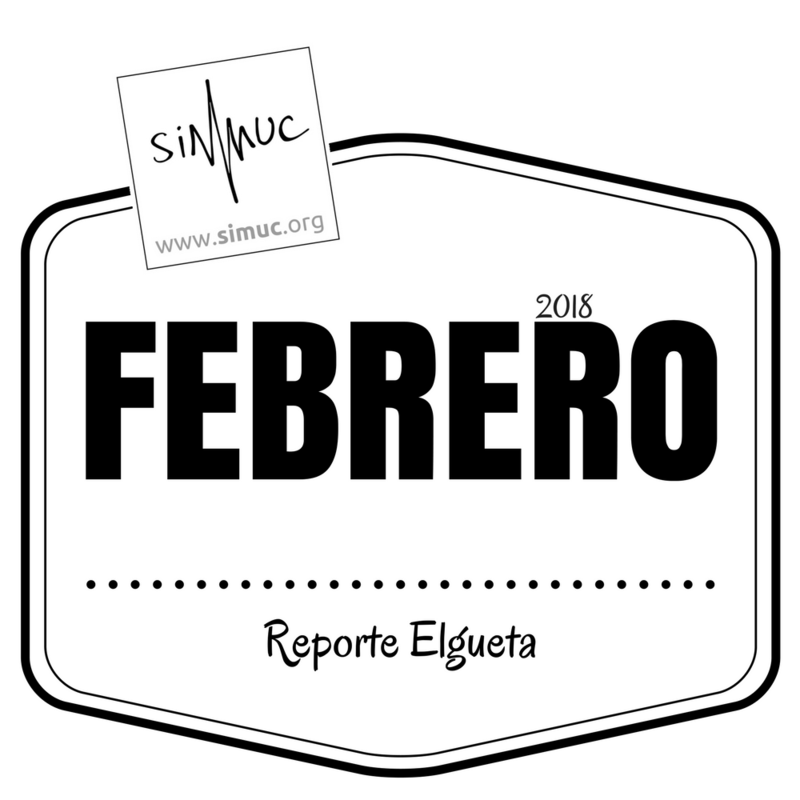 This year the production of the podcast was done by the group Yubarta, led by music educator and member of the SIMUC Executive Team Joaquín Ibar. We will publish one episode per week, beginning today, August 11, 2017. Besides each podcast, we will provide its written version as well. You are always welcome to leave your comments below each episode. 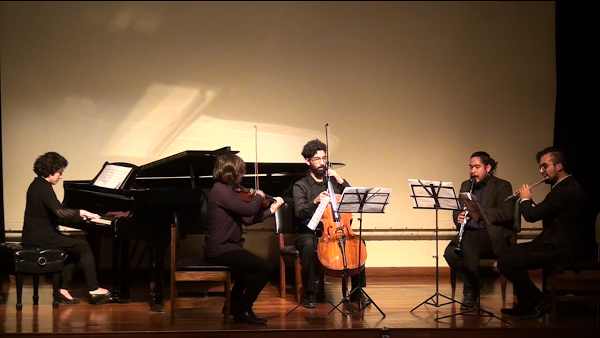 Call For Works - Ensemble "Colectivo Azul"
The International Society for Chilean Music (SIMUC) invites all Chilean composers to propose a piece to be performed by the ensemble Colectivo Azul. With this call we want to encourage the composition and performance of Chilean repertoire. The concert will take place on November 27 at the Biblioteca Nacional de Chile, in Santiago, as part of the "I Festival Azul de Nueva Música". Follow the link below to find all the details. 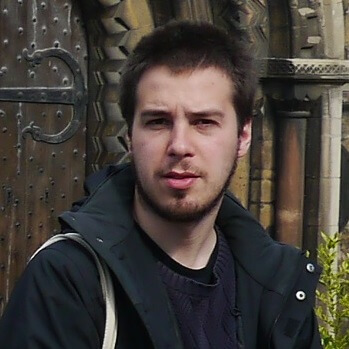 A list of Chilean Composers. 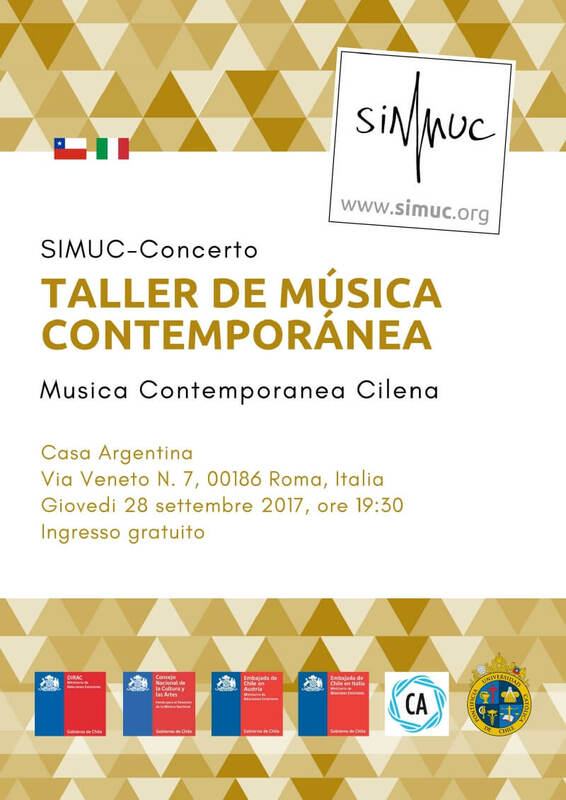 The International Society for Chilean Music (SIMUC) invites all Chilean composers to propose a piece to be performed by the renown ensemble Taller de Música Contemporánea during their European tour in September. Six top musicians from Chile will present a varied repertoire of pieces by Chilean composers in five different European capitals: Bratislava, Ljubljana, Paris, Rome and Vienna. Follow the link below to find all the details. Check out the third article of the series Intérpretes Chilenos en el Extranjero (Chilean Performers Abroad). 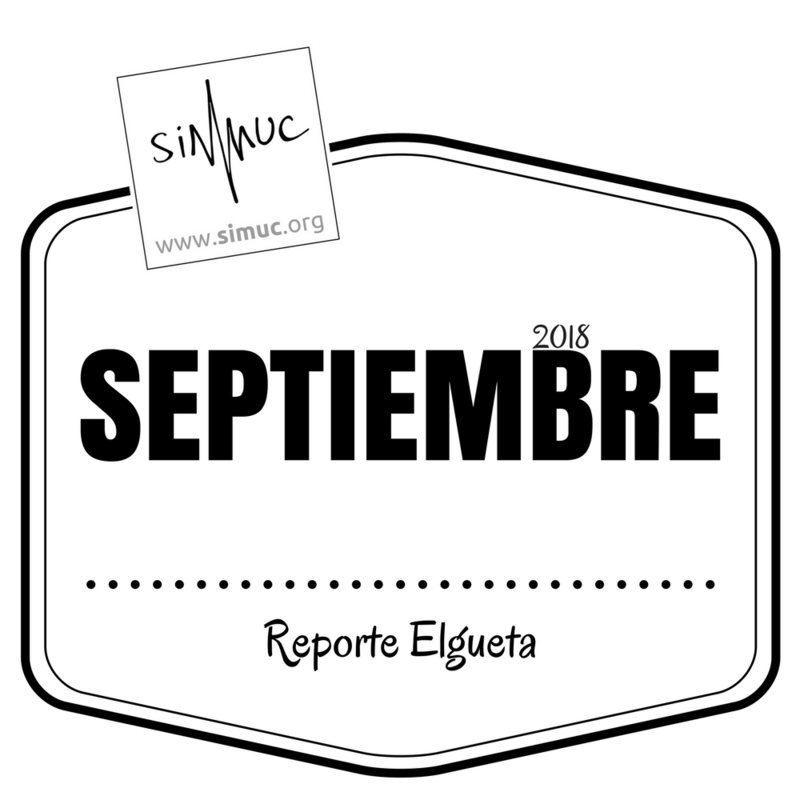 "Como músicos tenemos que aprender, casi sin ninguna preparación por parte de la academia, a salir y tocar, donde sea"
The International Society for Chilean Music (SIMUC) invites all Chilean composers to propose a piece to be programmed on the second season of MEC, our podcast on Chilean electronic (art)music. Follow the link below to find all the details. With the aim of creating international ties rooted in artistic content and open reflection, the International Society for Chilean Music (SIMUC) has established an unprecedented cultural link between Chile and Mexico, a bridge of recognition and respect. Although this bridge goes from one end of Latin America to the other, it joins countries with neighboring idiosyncrasies. 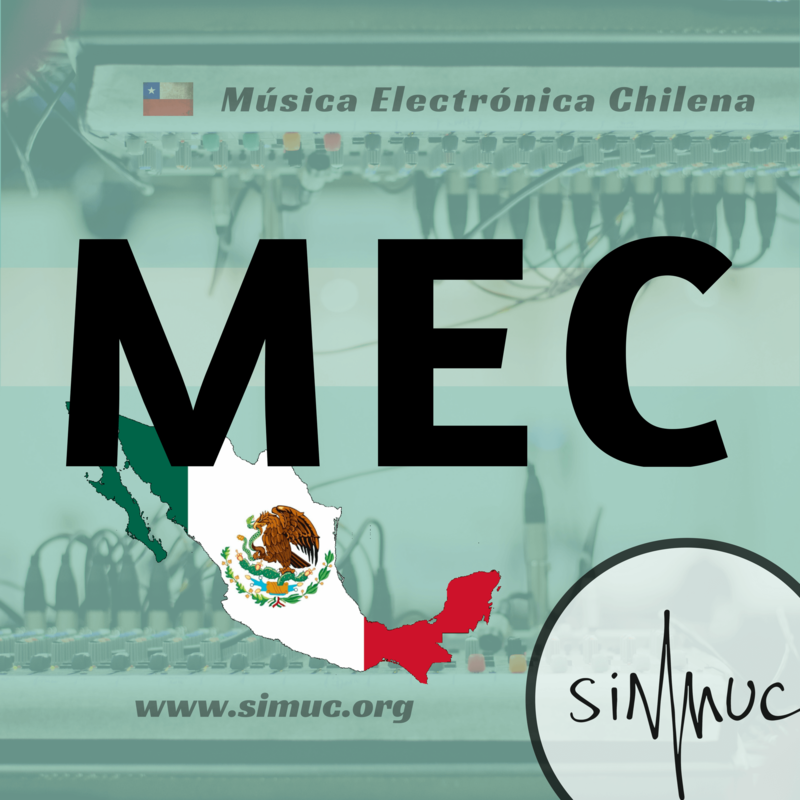 Ten Mexican authors and researchers will comment, analyze, inquire and express themselves freely from their individual perspective on the works of Chilean electronic music programmed in the first season of MEC. Starting on Wednesday, May 3, 2017, each week a different author will address an episode of the podcast. This SIMUC initiative has been made possible thanks to the collaboration of Chilean composer and researcher Santiago Astaburuaga, who has not only served as curator and link between SIMUC and the Mexican authors, but has also been a key voice in the conceptual development of the project, assuming the editorial task as well. We invite you to take part in the discussion in the comments section below each text. 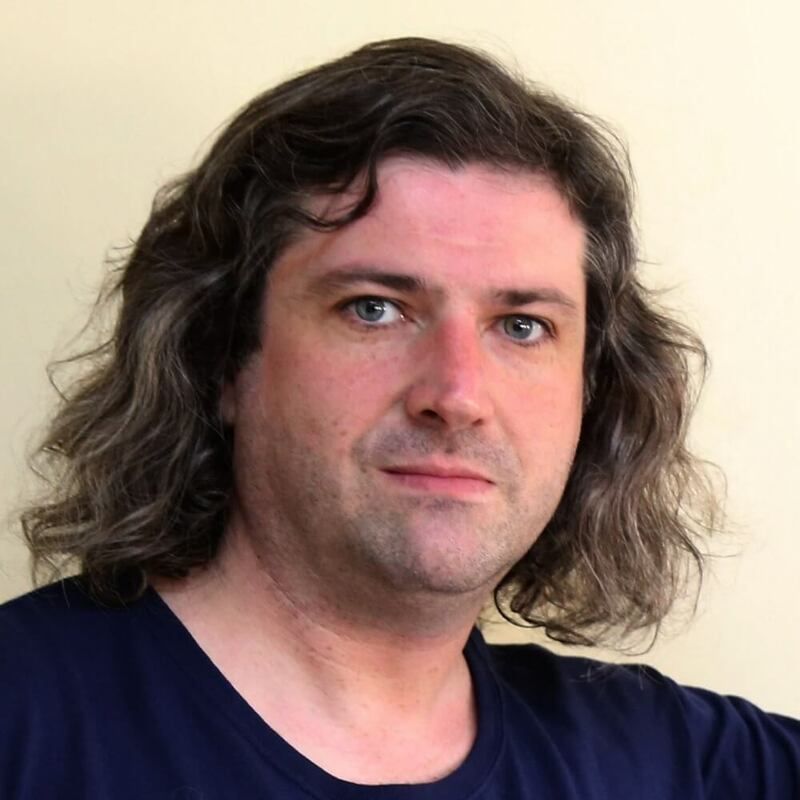 Take a look at the first article (Spanish) by Mexican artist and researcher Fabián Avila on MEC0103, which includes pieces by Chilean composers Federico Schumacher, Daniel Alvarado and José Miguel Candela, programmed by music educator Joaquín Ibar. 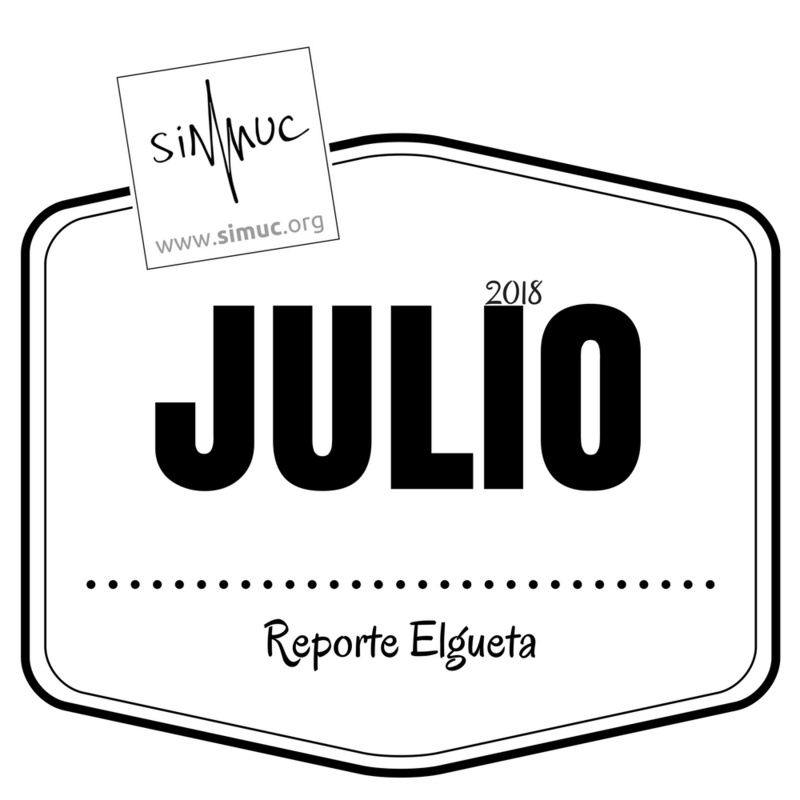 The SIMUC will take part on the 39. Internationale Studienwoche für zeitgenössische Musik 2017 in Lüneburg Germany. 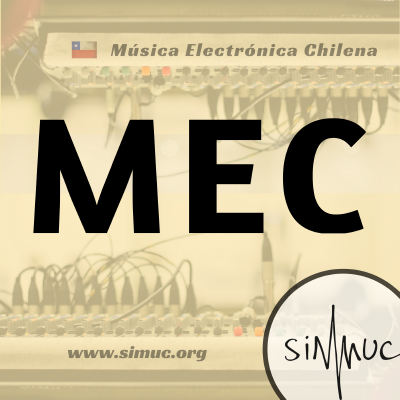 We will present a concert with a selection of pieces programmed in the first season of MEC, our podcast on Chilean Electronic Music. The SIMUC will be present at Classical:NEXT, which according to their organizers is "a music meeting dedicated exclusively to classical and art music; truly international; all sectors within the genre meet; it welcomes all approaches, from traditional to experimental, major to niche; addresses both the economic and the artistic aspects of the industry; offers an open platform where the participants create the content". It is an honour for us to have the support of the Chilean National Council of Culture and the Arts for our participation at Classical:NEXT this year. We hope that this time will be the first of many, so we will be focused on networking. Second Publication in Chilean Performers Abroad! Check out the second article of the series Intérpretes Chilenos en el Extranjero (Chilean Performers Abroad). Contrabajistas, ¿Diploma o Experiencia Orquestal? 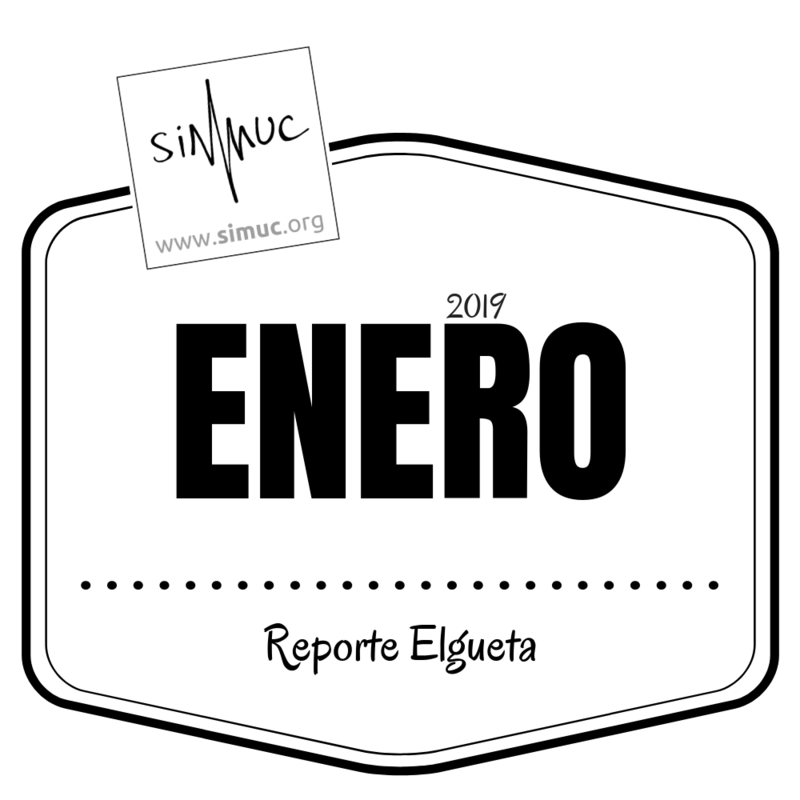 "Un diploma es irrelevante al momento de querer entrar a una orquesta profesional si no tienes experiencia orquestal"
We invite Chilean musicologists, music scholars and researchers to publish in our forthcoming new column "enfoque" (spanish). Check out the first of the series Intérpretes Chilenos en el Extranjero (Chilean Performers Abroad). "Hay muchas otras competencias, además de las musicales, que suelen ser tanto o más determinantes a la hora de salir del país"
UPDATE It was a great concert! We have opened a section where you can find more information about the program, some pictures and more. 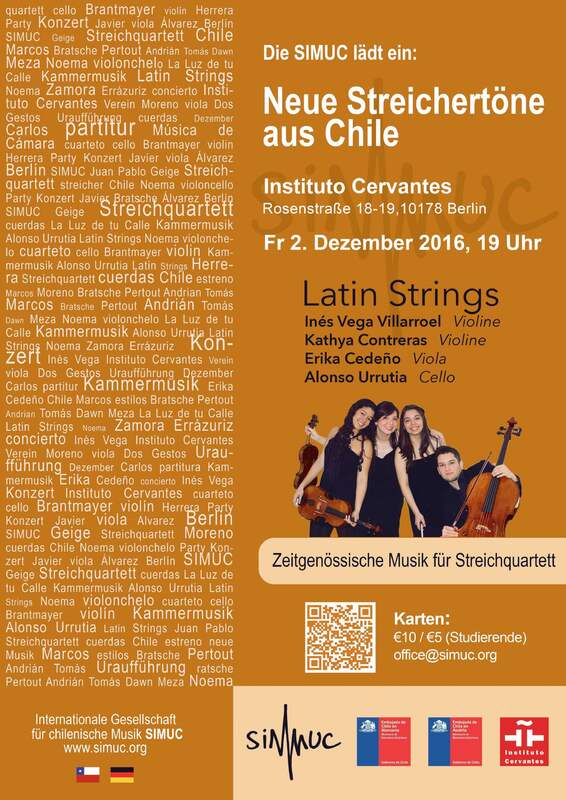 The SIMUC presents Neue Streichertöne aus Chile (New String Tones from Chile) in Berlin, Germany. 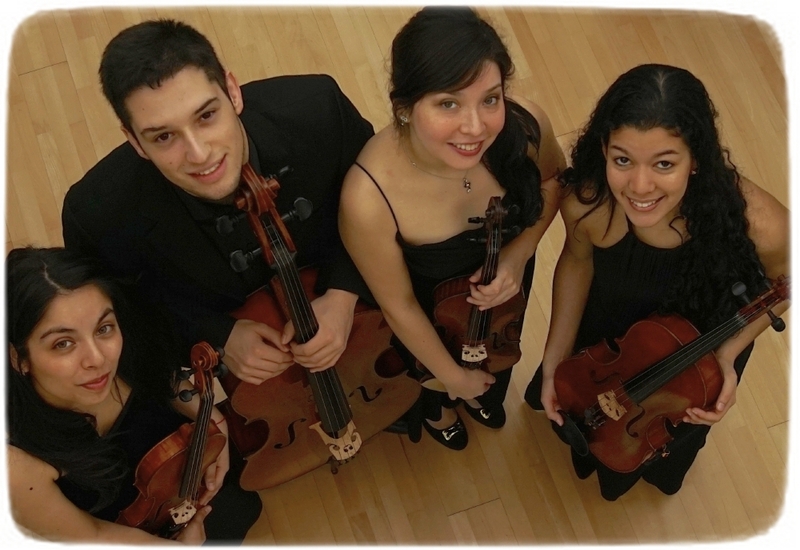 The concert will be performed by the Lübeck based string quartet Latin Strings. The ensemble will play pieces from 10 different Chilean composers, most of which are living and working around the world: Ricardo Álvarez (1976/UK), Gustavo Becerra-Schmidt (1925-2010), Tomás Brantmayer (1992/Chile), Sebastián Errázuriz (1975/Chile), Rodrigo Herrera (1981/Chile), Marcos Meza (1984/Germany), Juan Pablo Moreno (1984/Germany), Javier Party (1980/Austria), Andrián Pertout (1963/Australia) and Carlos Zamora (1968/UK). The repertoire of the concert offers a wide range of aesthetic stances, tonal and not tonal, minimalistic and highly complex, poetic and abstract. The concert will take place on December 2, 2016 at 7pm at the Instituto Cervantes in Rosenstraße 18-19, 10178 Berlin, Germany. €10|€5. Podcast: MEC - Chilean Electronic Music! The International Society for Chilean Music (SIMUC) invites all Chilean composers to propose a piece for string quartet, to be performed by Latin Strings at the SIMUC concert that is going to take place in December 2016 in Berlin, Germany. A list of Chilean musicians and musicologists living abroad. It was a great concert! Thanks to all who were there. 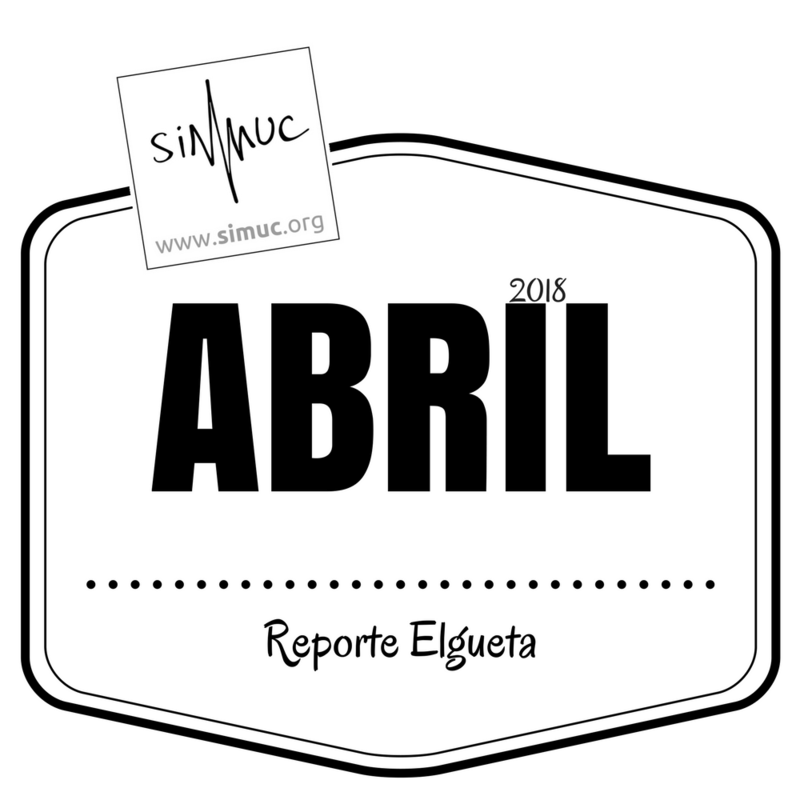 Each event organized by the SIMUC has its own section where we gather all information about it, like pictures, performers and composers, repertoire, feedback, media reports and a general description as well. Check it out!